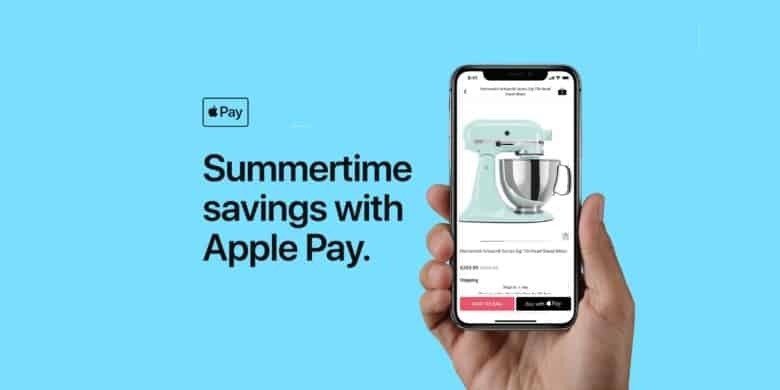 There are deals to had this summer if you just use Apple Pay. Apple waited a bit for its summer Apple Pay promotion, but it just kicked off today. On offer are savings from Fandango, SubHub, Groupon, and several other apps. The exact savings vary from service to service, of course, but they all have one thing in common: when it comes time to settle up, you must use Apple Pay. Though it’s funny that Apple waited until late July, with many kids across America heading back to school in a couple weeks. That said, these deals expire before most kids will see a classroom. Fandango offers $5 off the cost of two or more movie tickets. If you’d prefer to take in a concert, StubHub will knock $10 off a $100 or more purchase in their app. When it comes time to eat, both Grubhub and Seamless will take $10 off your first order of $15 or more. Groupon will knock 20 percent off (up to $40) on local deals purchased through the app. For shopping, Rue La La is offering a $10 credit toward your next purchase. Or home-furnishing retailer Houzz is offering free shipping. If you have to travel to enjoy any of these other deals, Hotels.com will take 10 percent off any rooms booked through their app. Again, using Apple Pay is required to get any or all of these deals. And they’re good from today through August 1. That’s just two weeks, so it doesn’t pay to dawdle. Apple has instructions for anyone who doesn’t already have its iPhone-based payment system set up.